Photos from the final day at Tarn are on Northern Rowing’s Facebook pages here. 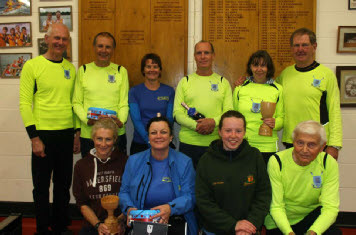 The Northern Rowing Council with help from British Rowing set up the Explore Rowing Sunday League series in 2012. The series is being repeated in expanded form in 2013. The 2012 archive is here. There is to be an event on the first Sunday of each month from February right through to October. It is aimed at recreational rowers, novices, recent graduates of learn to row courses and those returning to rowing. Summer events will be run over a short sprint course, with side by side racing Winter events (new this coming year) will comprise a longer time trial with skill tests interspersed. There will be some sweep oar as well as sculling events - see below. Queries to James Andrews at British Rowing. The entry form can be downloaded here (xls). * 4-6 people not including coxswain. * points will be calculated at the end of the day and added to the overall league table. * Crews are allowed 2 races with times added up. * ½ points will be awarded if the team goes over the original 6 team members. * points will be added to the league table. No prizes will be awarded for single events; one series prize in each of Open and Women categories. This page last updated 14-10-13.